First, let’s have a look at how things have been done so far. A traditional publishing solution allows you to gather some of your information and store it at a specific location. From there you can create and edit your documents, and the final output will most likely be a document. This type of linear publishing to create long, “monolithic” documents has been used for many, many years. It used to work quite well (and it still does), but it is not really up to the demands of modern content products and content services. Today a CMS must do more than just store and provide simple content publishing. Look at the left side of the illustration. We call it a content automation hub because it enables the dynamic linking of data from various sources. These sources can be SQL, Oracle, a wide variety of databases, web services, ERP, PLM, CRM, RSP systems and many more options where you can grab data from inside your system and reuse it over and over again. All your mission critical information is dynamically linked and gets updated every time it is rendered. There are mechanisms in place that guarantee you are pulling out the right data in real time whenever you need it. That is very different from the standard copy/paste for creation of documents. As we see it, the separation between content and data is slowly but surely going away – but with the right content automation hub in place, you are ready to take advantage of this. Take a look at the center of the illustration – this presents the basic process of content creation and management. There you can see terms that some of you probably recognize, if you are familiar with the DITA standard. Modular content structured in topics (the so-called LEGO content building blocks) is the way you create your compound documents. In DITA terms, the compound document is called a map. So, you put together your topics in a map – in a table-of-content-like structure. And, if you put that though the publishing engine, you can get a document, maybe in a PDF format, maybe in other formats. What is important is that these building blocks can be reused, or more precisely, every single one of these topics can be used in many maps. One topic can easily be part of maybe a 100 different compound documents at the same time! And even more importantly, if you change something in this topic, it will automatically be changed in all the compound documents where it has been used, saving you time and resources and making sure all your content is accurate and consistent. Finally, on the output side we can see some of the possible publishing options. We have already mentioned the simple PDF document, but that is far from what you can get out of your content management service. You can also feed portal pages (like for example, more or less advanced search pages) directly from the content service so that you always get the right topic, and present it to the right person at the right place and at the right time. This gives you the confidence that you have exactly the piece of content – exactly the piece of knowledge that you really need. To make this work, a great content service hub must offer configurable, automatic pre-rendering of content components in the format that suits your applications – HTML, XML, or JSON. But that is not all, there are even more options! You can use the same topics and information described above in various other formats, for example by feeding content directly to your mobile apps or chatbot. You are automating your processes though machine-to-machine communication and in this way, error proofing them! 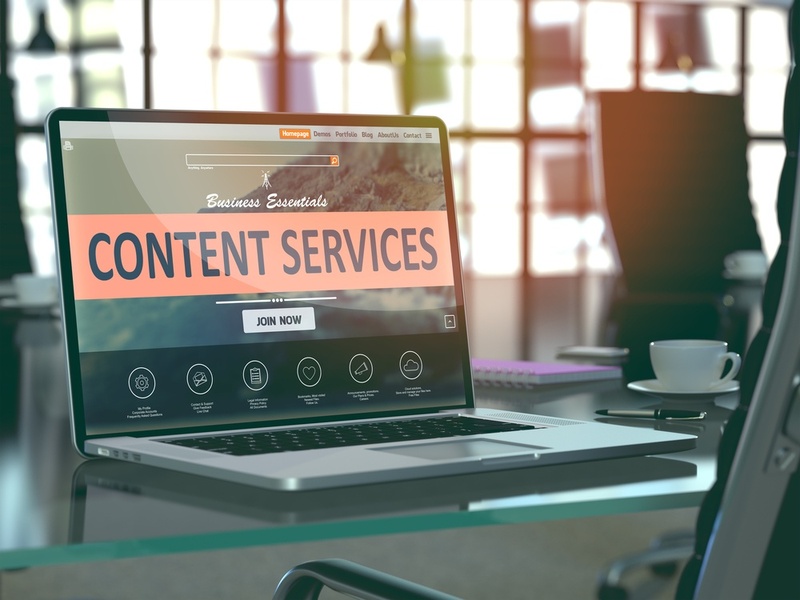 Using a modern, well-functioning content management service and a proper content automation hub that responds to the demands of modern technologies has a lot of benefits. It will enable your organization to deliver accurate, consistent and compliant content, which reduces risk and saves you time and money. Do you have Office 365 in your organization? You may not realize it, but you already have the perfect solution for delivering the right information to the right people, at the right time, in the right format and language–and on the device of their choosing. 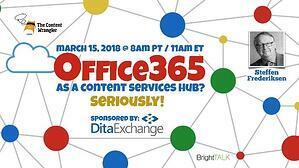 Watch the full recording of my webinar “Office 365 As A Content Services Hub? Seriously!” anytime! Since 1989, Steffen Frederiksen has been working with the creation, management and distribution of structured, reusable business content.